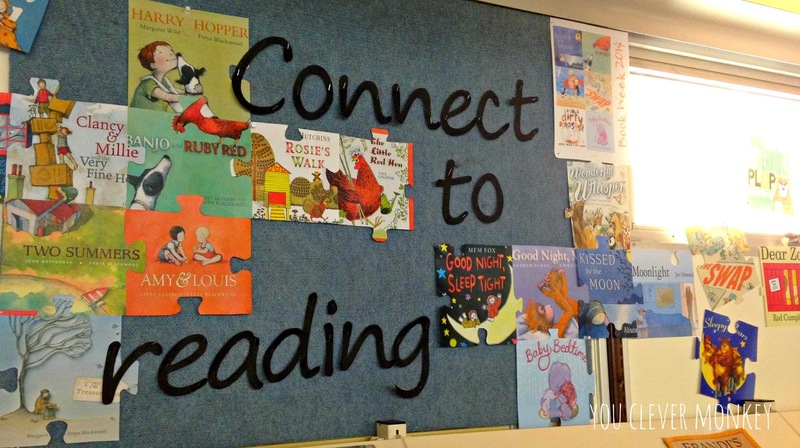 I love the theme for this year's Book Week - Connect to Reading. For those of you reading this outside of Australia, every year the Children's Book Council of Australia (CBCA) selects, and then votes on, a shortlist of the best Australian children's books from the previous year. This ranges from Early Childhood (picture books) through to Older Readers. Each year they pick a theme and schools, good book shops and libraries around Australia spend these next few weeks sharing the books, engaging young readers in the theme with activities in class or through parades, reading times or competitions. 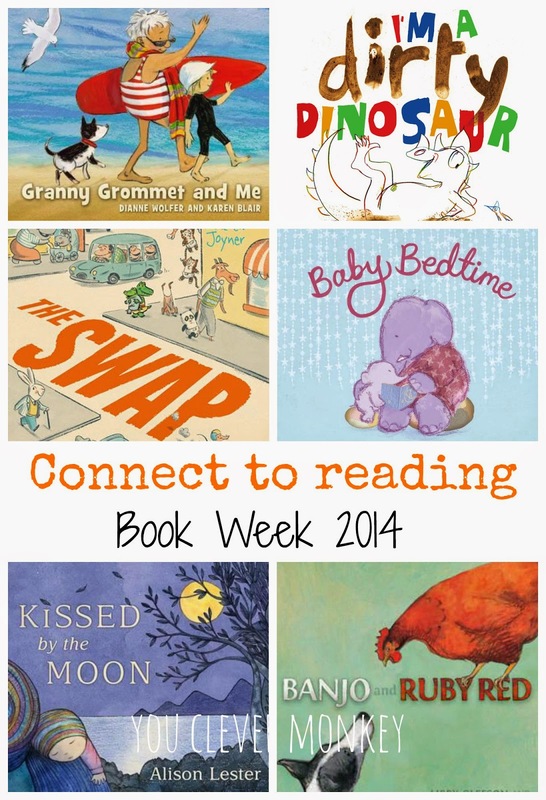 Book Week is simply an invitation to spend a week celebrating books. In my life as a contract teacher, I find myself fortunate to be working in a library at a local school this term - living the dream! As part of my current role, I get to work with children from Reception (their first year at school) through to Year 3's and for the first part of this term, we're using the Early Childhood books from the CBCA's list along with the theme of 'Connect to Reading' to teach reading comprehension strategies. 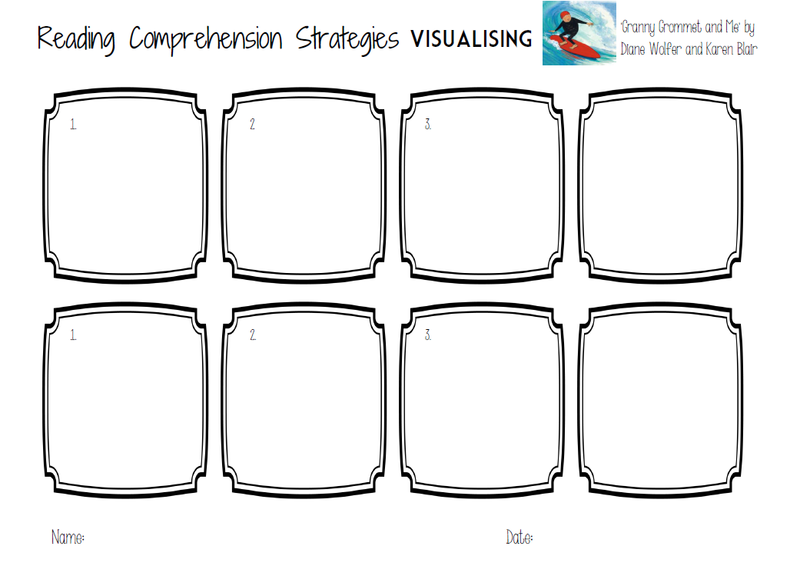 I wrote about reading comprehension strategies last year. You can see those posts - here, here and here. 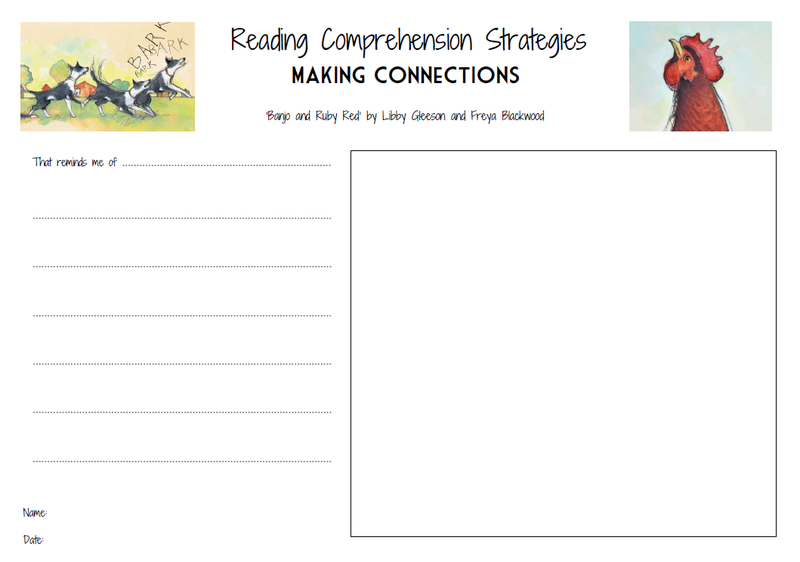 To me, for this age group, reading comprehension strategies are the things that children already do. I'm simply highlighting these and their importance in reading. 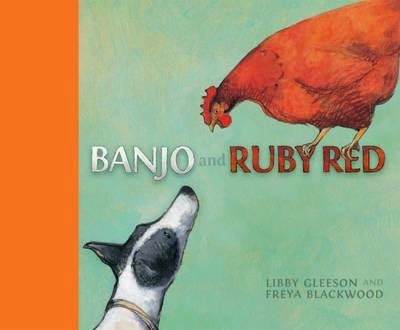 Last week, we started by looking at making connections using the book Banjo and Ruby Red by Libby Gleeson and Freya Blackwood - one of my favourite pairings. It's a story of an antagonistic friendship between a dog and a hen. Banjo has a job to do on the farm but Ruby Red seems to relish in making this difficult until one day she's not there. Beautifully illustrated as always, Freya Blackwood's artwork give the animals life making them simply leap on one page yet are so emotive on another making it a great aloud as children absorb the story on each page. To start the lesson, I used this image of the cover on the interactive whiteboard and just spotlighted part of Ruby Red so that was all the children could see. I then asked them to guess what it was and this is where they start making connections to things they've seen, things they're read, things they've done. Some thought it was a dinosaur, a dragon, a fire and lots thought it was a hen because they recognised the comb. I then revealed the whole cover for them to see and told them the title of the story was 'Banjo and Ruby Red'. 'Who do we think is Ruby Red?' I asked. I open the inside cover to reveal the setting of the story - a farm. And the questions keep coming... all the while, the children are making connections. 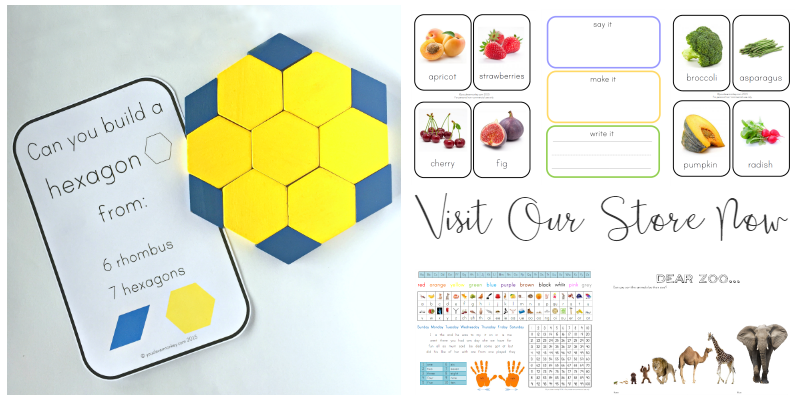 After reading the book, the children then finished the sentence 'That reminds me of...' I prepared two different sheets - one for younger children and one for older allowing more writing space. 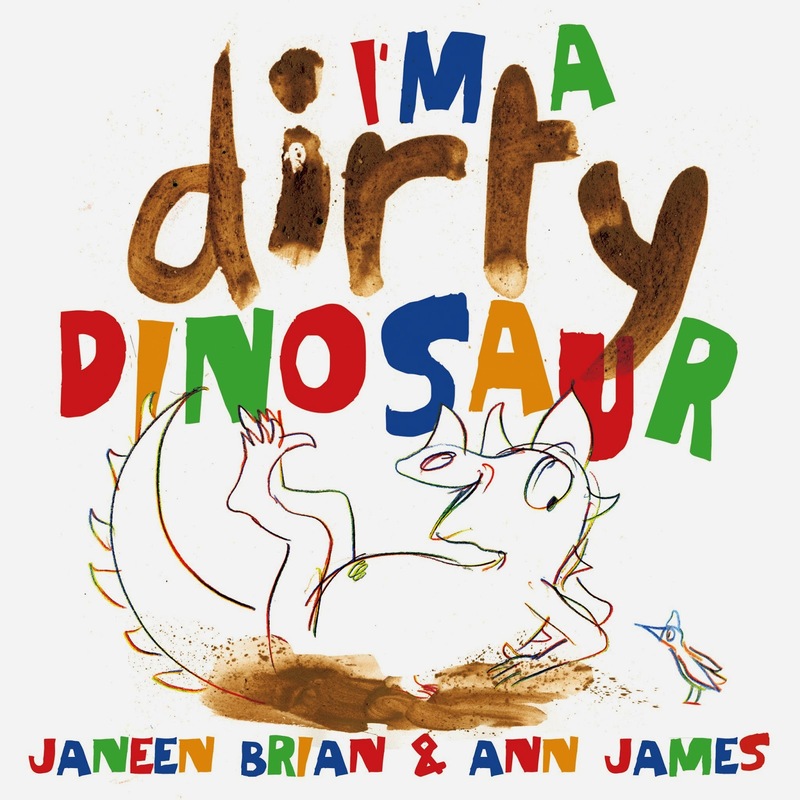 This week we moved on to another reading comprehension strategy - activating prior knowledge using I'm a Dirty Dinosaur. 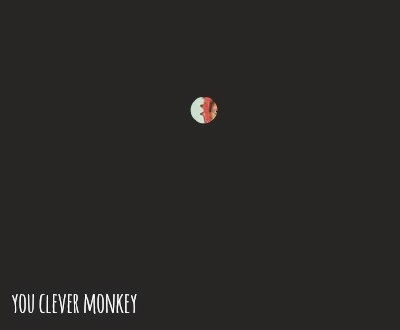 After explaining what the strategy - activating prior knowledge meant (switching on information they already have), I asked students to tell me what picture they saw in their heads when I said the word circus. Lots of hands go up and we shared a few ideas. Then I ask them to do the same but use a new word - zoo. Even more hands shoot up in the air - they have begun to see what this strategy looks like. I then give them the final word - dinosaur. 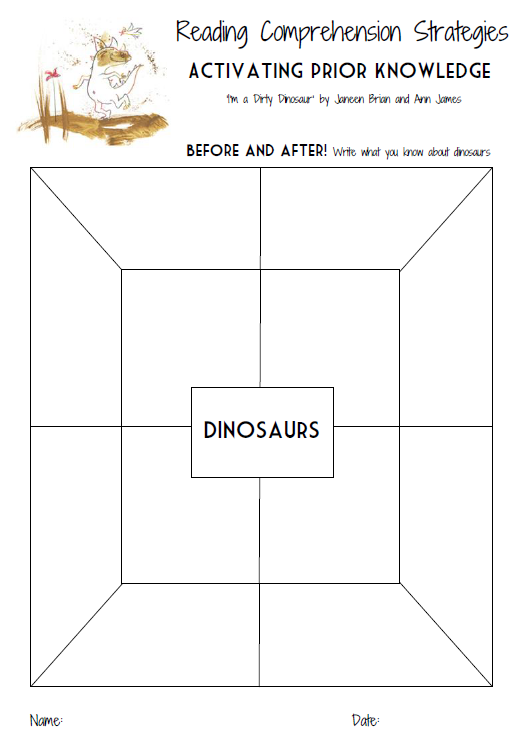 Now with these pictures fresh in their mind, I ask the younger students to draw what they know about dinosaurs. For the more capable writers, I had prepared a before and after web from the Sheena Cameron book. They begin by adding words about dinosaurs to the boxes immediately around the centre. I have a pile of different dinosaurs books available for them to then do some research. They can then add some new terms to the outer frame to complete their web. Two of my children's favourite wordless books are Sunshine and Moonlight by Jan Ormerod so I wasn't surprised by how much they enjoyed The Swap . 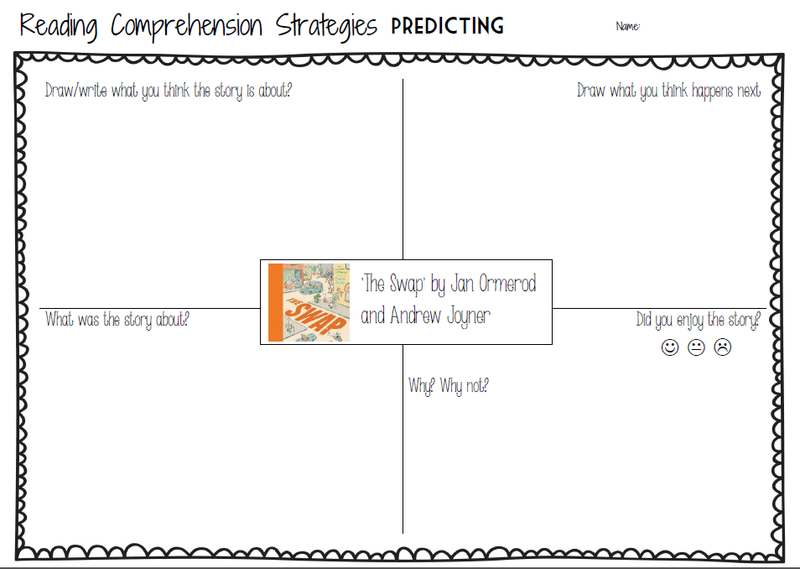 This week I'll be using this text to look at the comprehension strategy of predicting. 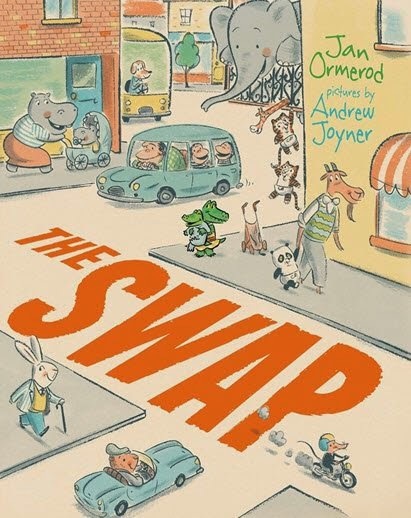 I've used this template several times now with different books and expect it to work just as well with 'The Swap' which is a story of a jealous big sister who thinks she can swap her new little brother as easily as her mum can swap a hat she doesn't like. She tries a few other baby animals but finds them not very agreeable either. 'The Swap' is a great book for working with adjectives too. To start, children will complete the first box on the sheet using just the cover of the book to predict what the story is about. Once they've completed that, you begin reading the book but stop part way through. I would suggest when she goes into the baby shop to swap her brother as a good spot to stop for older children or maybe part way through the swap for younger children once they have the idea that one animal is being swapped for another then they could simply predict what baby animal might be next. Julia Donaldson's Stick Man is perfect for this strategy too. I pause when he floats out to sea and have them predict what happens next. 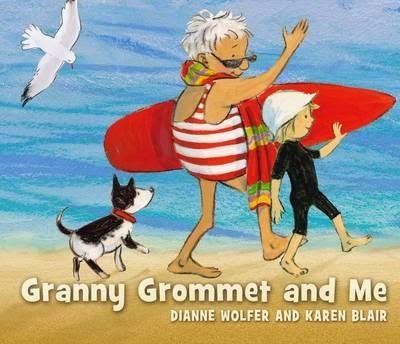 The following week we're going to be looking more formally at visualising using the book 'Granny Grommet and Me'. They have already been practicing this comprehension strategy throughout our focus on reading comprehension strategies and who can't feel the sand between your toes and hear the waves crashing when you start talking about the beach. To teach this strategy, I'm using some picture clues I picked up at a professional development day a couple of years ago. Unfortunately, I still don't know their source so am unable to share them here. Here are a couple of the prompts used in another class. They would be easy enough to make up - single sentence clues that slowly build up to reveal the object. 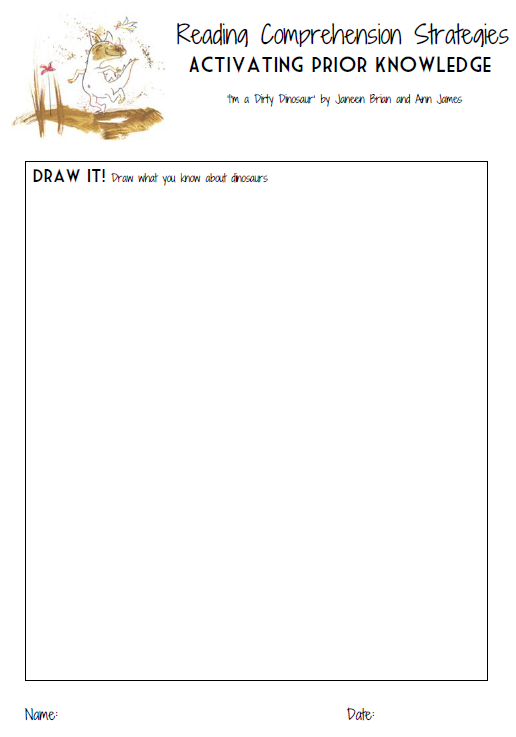 Students begin with one clue, draw it, stop and hear the second clue, draw again, stop, hear the final clue and draw again. You then show them the object you were describing to finish. How is your school or children celebrating Book Week this year? Outside of the US? I recommend The Book Depository with free postage worldwide.